Kona Brewing Company, a US-based craft brewery, has extended the distribution of its flagship brands to Pennsylvania, Delaware and South New Jersey markets. Starting from 17 January 2012 the markets will carry the company’s signature beers including Longboard Island Lager, Fire Rock Pale Ale and the brewer’s Aloha Series, beginning with the spring seasonal Koko Brown Ale, in stores and on draught. 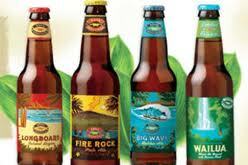 With the addition of new markets Kona’s beers are available in 30 states across the US in 2012. The brewery has three restaurant sites in Hawaii and beer distribution reaching 30 states and Japan, BrewBound reported.